Easter is just around the corner! 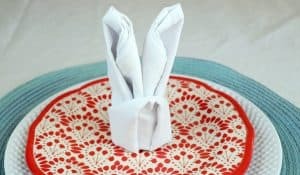 I have 7 Dollar Tree Easter baskets to share with you today that will hopefully inspire you to create and give this Easter season. I love sharing Easter, resurrection Sunday, with everyone around me. Gathering with family and friends to celebrate Jesus at church then around a big family table is a perfect Sunday. 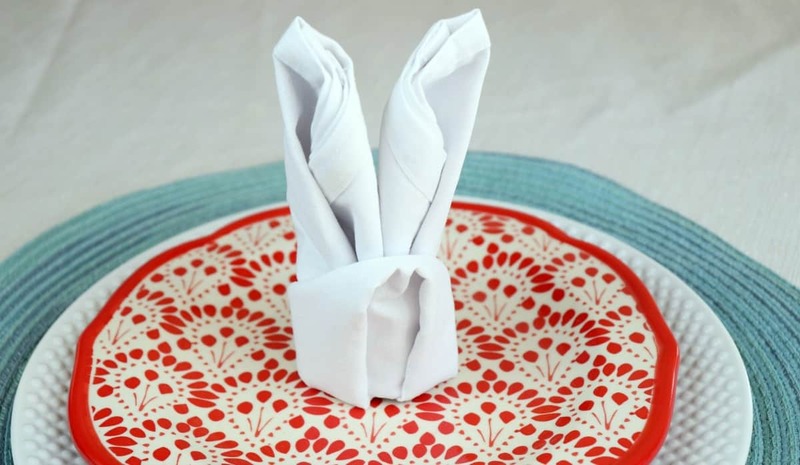 This time of year I love to create a Easter scavenger hunt for my kids that leads them to their baskets. These baskets come from the Easter bunny of course, and not dollar Tree 😉 But for all the other kids I see around Easter I like to have a little something to share with them to celebrate the season. My Sunday school class, nieces and nephews, cousins and friends, the list goes on. I hope these 7 baskets inspire you to create something special for the kids in your life. 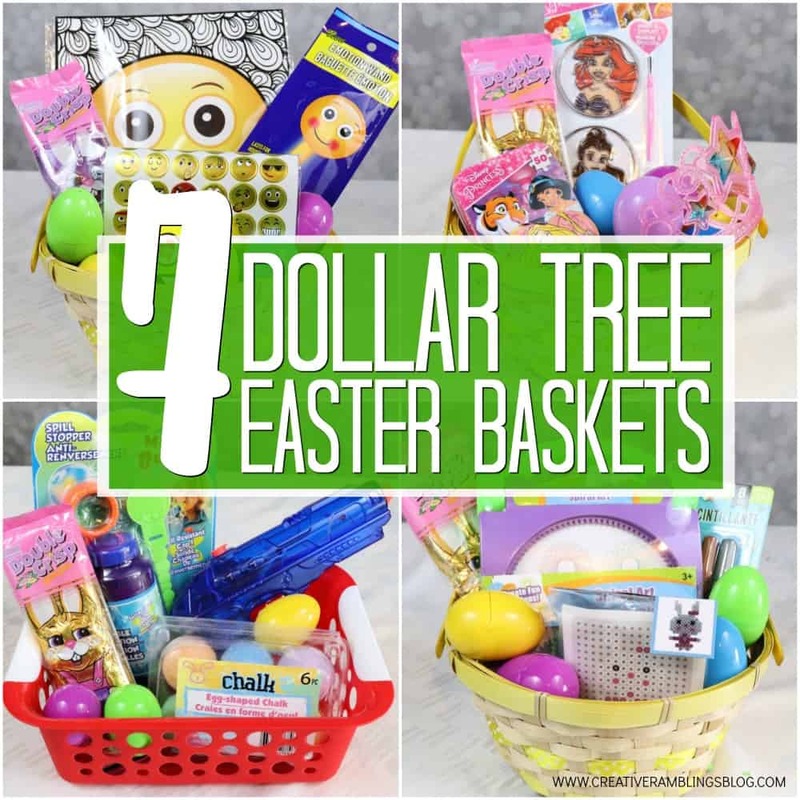 Each of these baskets is under $10 and packed with themed Dollar Tree goodies. Follow Creative Ramblings on YouTube for weekly videos just like this. Here they are broken down one by one. You can head to your local store and pick up the supplies, or check out Dollar Tree online and have all the supplies shipped directly to you. 5 of these baskets start with a yellow wicker basket and Easter grass, a traditional way to build a basket. For 2 of them I used a red plastic bin that can be used to store the items after Easter. 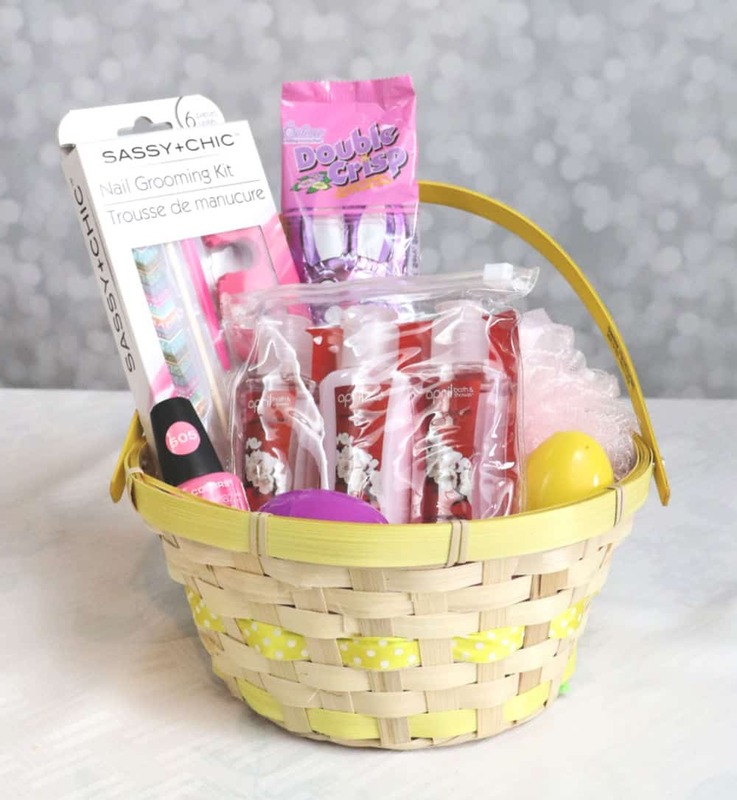 Each basket also has a chocolate bunny and a handful of plastic eggs filled with jelly beans. 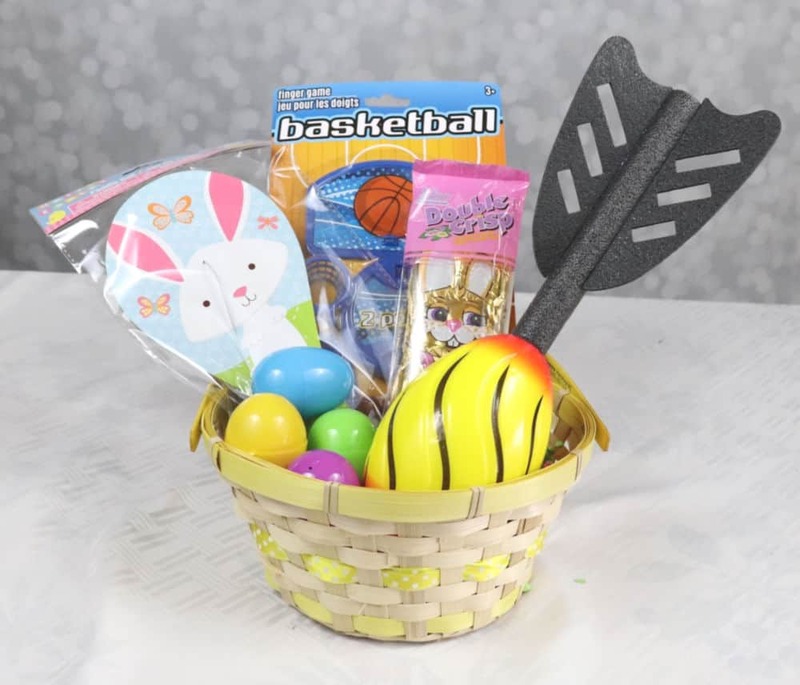 Sports Easter Basket This basket has a tabletop basketball game, a foam football and Easter themed paddle ball. 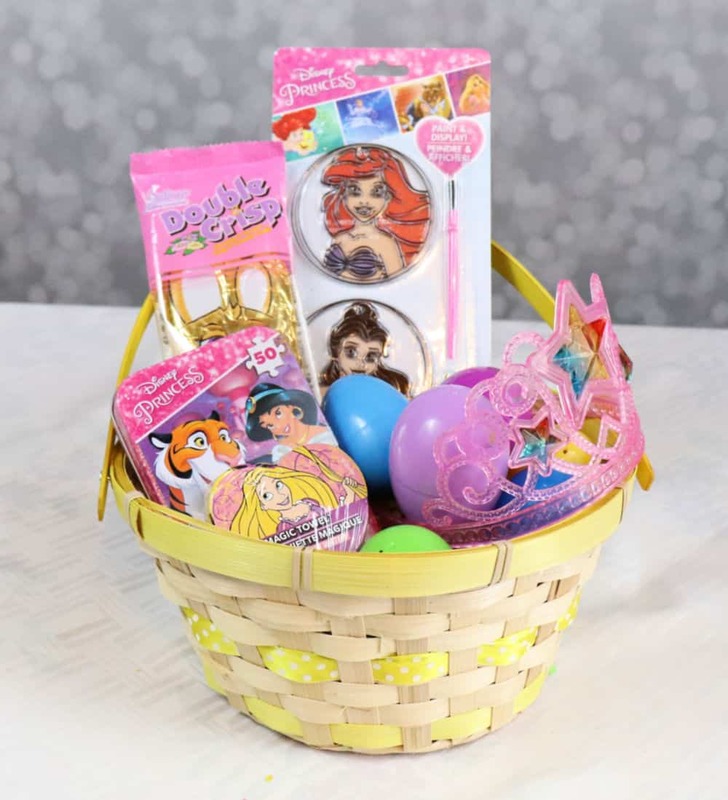 Princess Easter Basket A paint set, crown, puzzle and magic towel make up this royal basket. These magic towels are a fun addition to any kids gift. They start small and expand into a washcloth when you put them in the bathtub. We love using them in birthday favor bags too. Craft Easter Basket This basket starts with a set of glitter glue, a favorite of every kid I know. I also added a spiral art kit and perler beads. 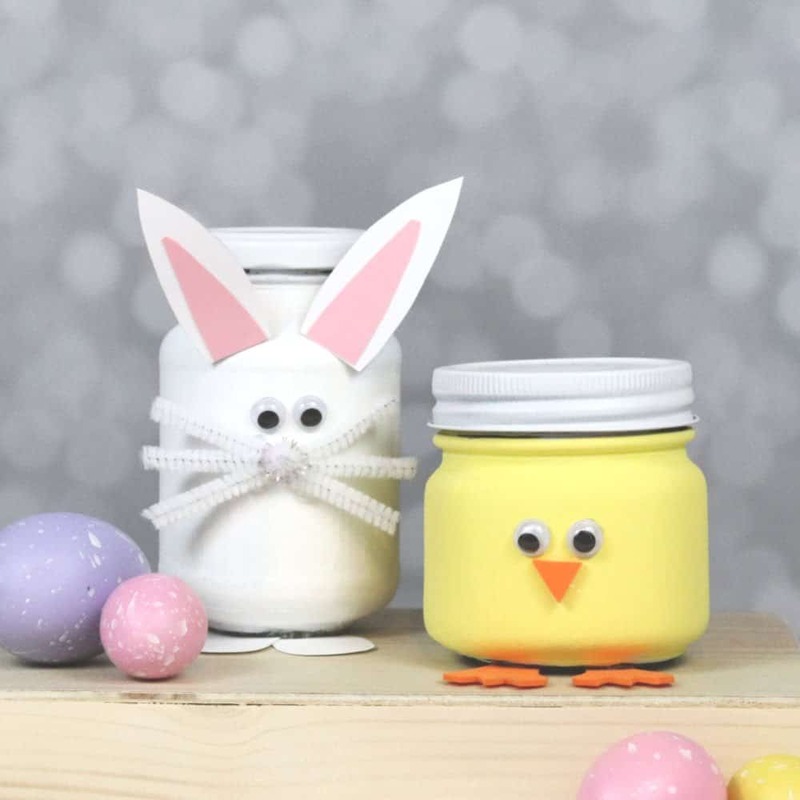 If you are loving these Easter baskets, pin and share them! 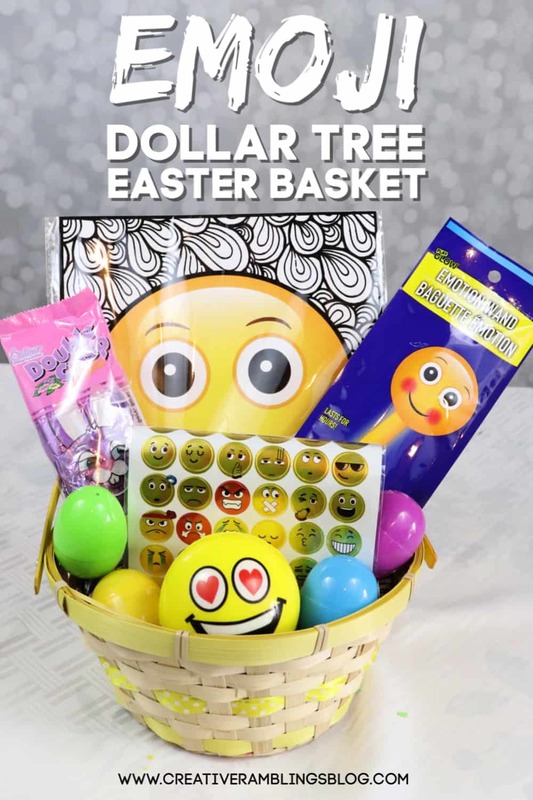 Emoji Easter Basket A basket like this is perfect for older kids. I chose a coloring set, stickers, a wand and a ball. You could also add a keychain, pen or small purse; Dollar Tree has a ton of options for this theme. Spa Easter Basket Another basket theme with a lot of options. I chose to go with simple beauty items in pink; a nail kit, loofa, body products and nail polish. 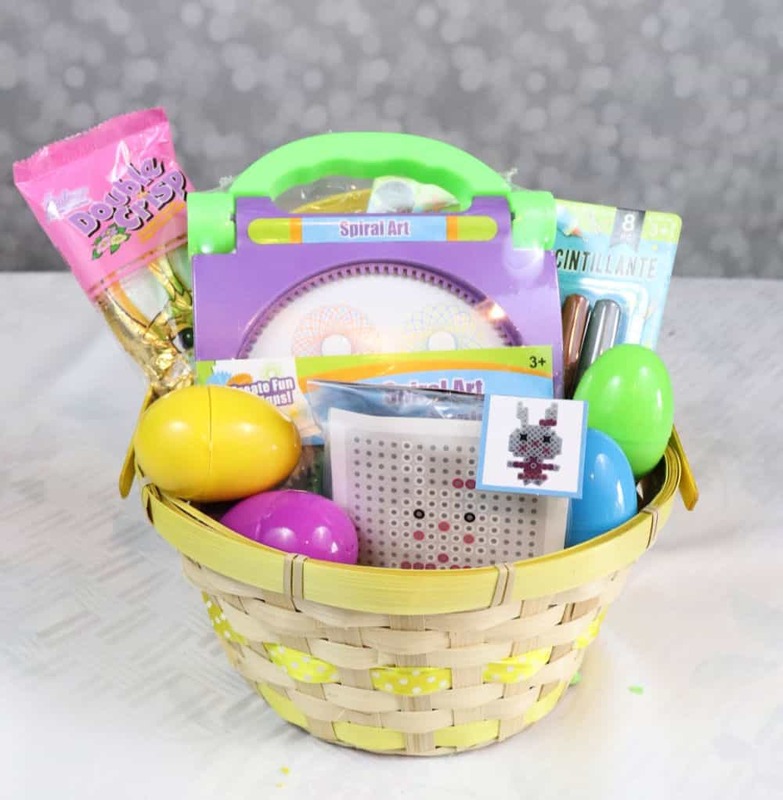 Outdoor Fun Easter Basket A basket full of fun toys for Spring and Summer. My kids can’t wait for warmer weather and this basket will put any kid in the mood to play outside. 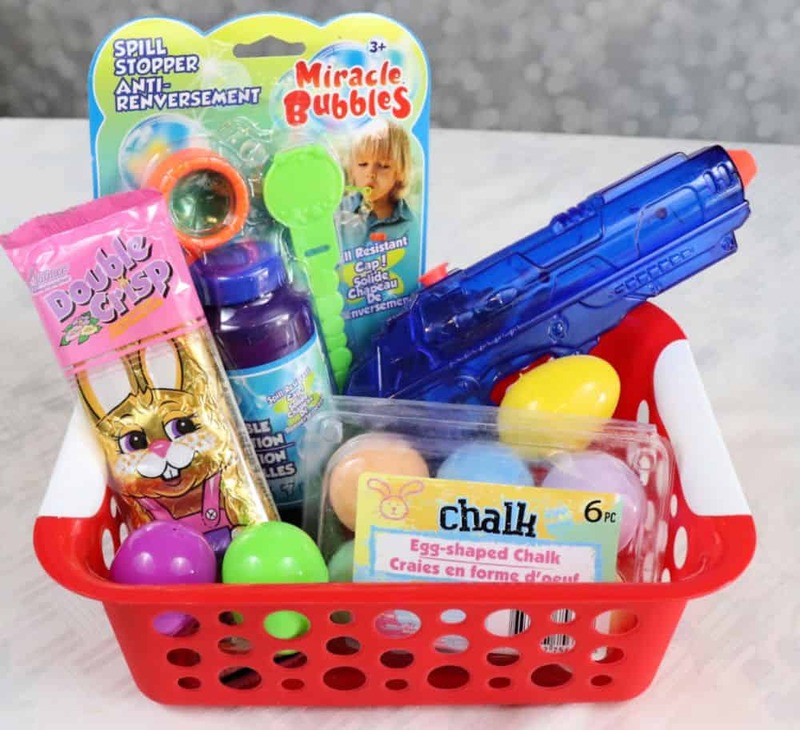 Deluxe bubbles, a squirt gun and egg shaped chalk are great starters for a fun day outdoors. The plastic bin can hold all the toys when the kids are done for the day too! 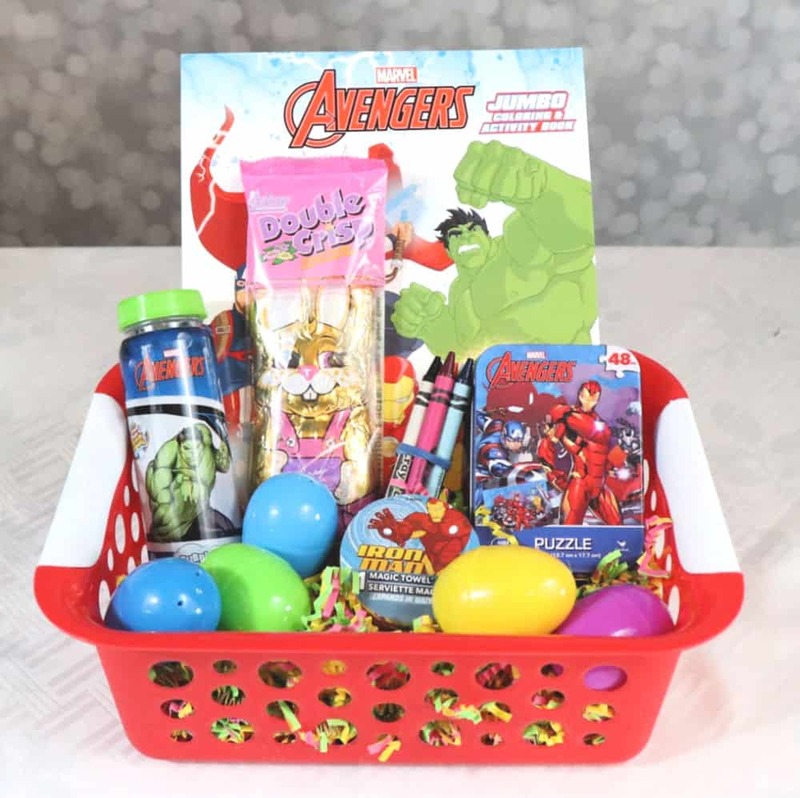 Superhero Easter Basket A coloring book and crayons, bubbles, a puzzle and magic towel featuring a favorite superhero is sure to be a hit. I love that Dollar Tree carries branded items like Avengers, I know a number a kids who would love this basket. I hope you are inspired to put together an Easter basket or 2 for the kids in your life. Have a happy and fun Easter friends! 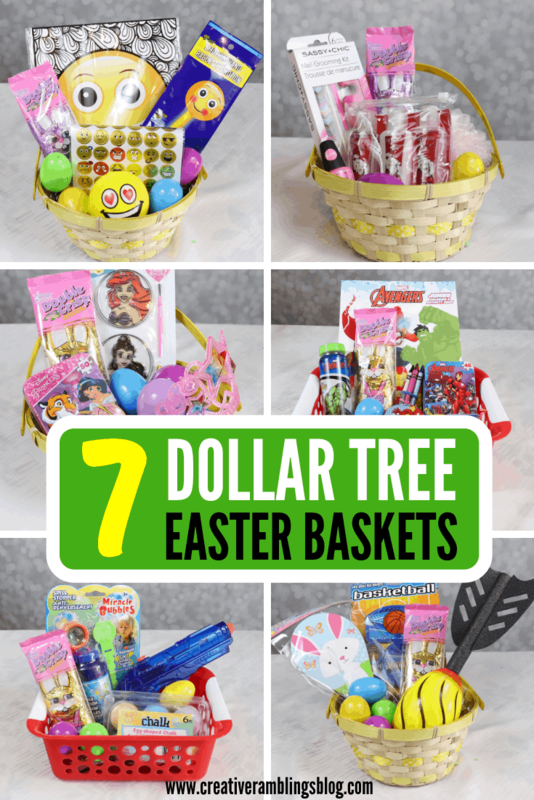 Which Dollar Tree Easter Basket is your favorite?